Our life, one story at a time. Many of you have been following our adoption story, and already know about the process and its many components, the curve ball we were thrown, the (crazy) deadline we were rushing to meet so our application would be accepted, and the fact that we (or rather I) ultimately blew that deadline. If you aren't up to speed, I have the posts conveniently linked here for you. The week after Thanksgiving, I was in San Francisco for work and Howie was staying with our friends there. I was in a mediation for several days--an intense one. Somewhere in the middle of the third day, I got some news that nearly made me jump out of the chair in front of my partners, the client, opposing counsel, a room full of experts and a retired judge. Marcia, our case manager, had sent me an email. That in and of itself was a bit of a surprise because Marcia is a woman of few words. I think she tries very hard to be succinct as a way to counterbalance how demanding the process is. In any event, the email told me (without telling me) that Marcia had been working very hard for us behind the scenes. She contacted ICAB and told them about us. She mentioned how the rule change (see curve ball link above) had caused a delay in our application, and she told them we were fantastic candidates. Marcia convinced ICAB to take our application WITHOUT the immigration component completed. Read: even though we blew our deadline, ICAB is going to treat us as though we didn't! That news was a call to action. It required getting checks and final paperwork to Marcia to be sent to ICAB as quickly as FedEx could get it there. The package was sent on December 6 and, luckily for us, arrived just four days later! That little package went on an adventure, though, let me tell you! It started in Los Angeles, then went to Culver City, then Oakland before even leaving California! From there, it went to Anchorage, Alaska, then on to Guangzhou, China, then to Paranaque City, Philippines and then, finally, to Quezon City (the capital area of Manila). Ordinarily, an applicant family would be processed and approved by ICAB in 30 days, and then go on the waiting families list. Since our immigration information is not yet completed, I am sure that our approval will take longer. But the point for us is, ICAB took our application--as a 2012 application--and soon we will be eligible to be matched with our new child! It will probably take a year to eighteen months (or more, the matching process is very careful), but the good news is the certainty that we no longer have to worry about being turned away! God is good! Secondly, and less interesting to most of you by comparison: I have a new gig. 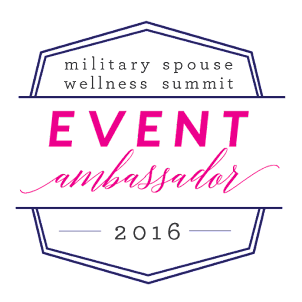 I'm working with the Military Spouse JD Network and serving as the managing editor of its monthly publication. 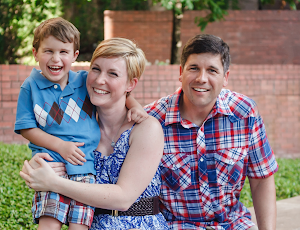 Though it does several things for military families, the primary mission of MSJDN is simple: reduce licensing barriers for lawyers who have to move states with their soldiers, so that military families have an easier time staying together. Yes, this hits pretty close to home for us. And, in addition to being important work, it's also something I'm truly enjoying. Last year, MSJDN worked with the ABA to promulgate a model rule for a military spouse licensing accommodation. Early this year Idaho was the first state to pass it. I'm excited to say that two weeks ago Arizona passed a similar rule. Now, I'm working with the Texas team (one of MANY working on rule changes), and hoping that soon my state will follow suit. It is really exciting, and really important work. If any of you attorney/government friends of mine want to support this effort in your own state, let me know and I'll put you in touch with the team in your jurisdiction.